Bluebell Pup Theodore and his sweet Momma Fancy and litter mates, four days old. 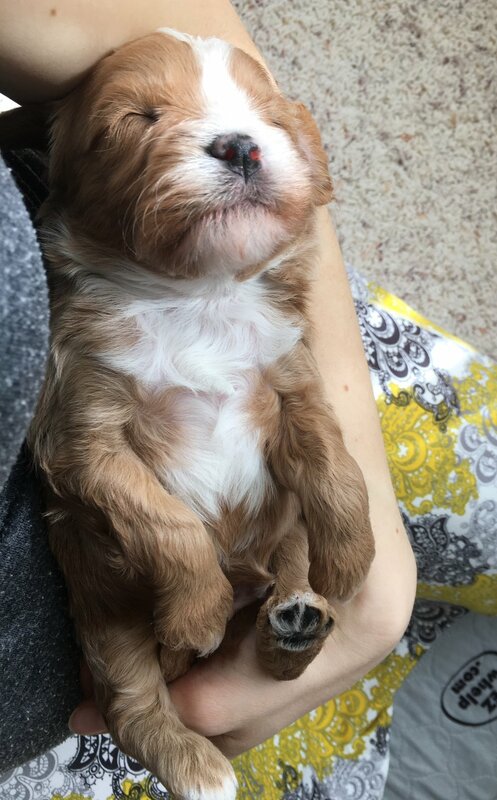 16 sweet Cavapoochon puppy days old with open eyes ready to discover the world! 25 days old! These Cavapoochon puppies are really learning how to walk and play around! This day we did a FB live video on our Bluebell Pup page, and afterwards they all fell asleep in my lap. Looking this cute is hard work! :) Theodore just loves to cuddle, can you tell? Woof! 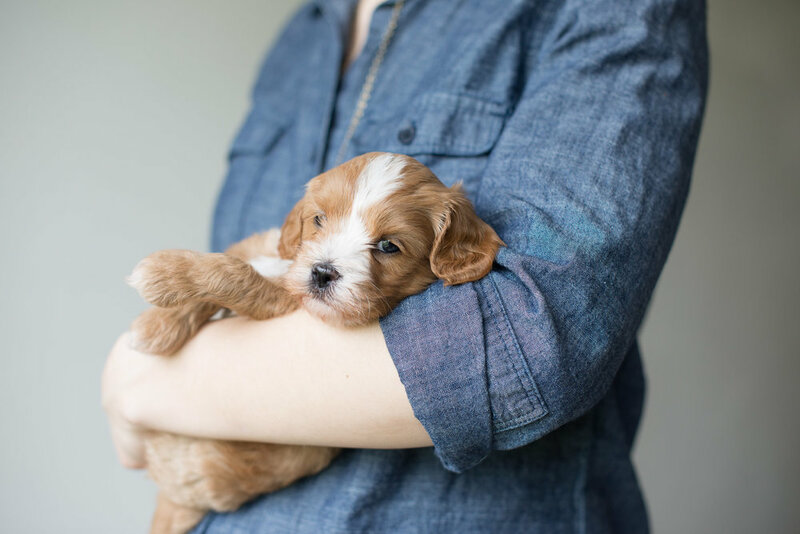 Theodore the adorable Apriocot Cavapoochon puppy male is 28 days old!!! 31 days old and can you see his sweet heart showing?! Theodore is 6 weeks 4 days old! And full of puppy life. :) He met his snuggle puppy that his Momma sent to him to help with the coming home transition. What a sweet little guy he is!